Rock legends KING’S X are thrilled to announce that they are entering the studio to record their highly-anticipated new album – the first to be released in over a decade – scheduled to drop this year via Australia’s leading international independent record label, Golden Robot Records. The label announced their global signing of KING’S X in December. Today, KING’S X enters Blacksound Studio in Pasadena, California with renowned producer Michael Parnin – recognized for his work with a varied range of artists, from Rage Against the Machine and Missy Elliott, to Andrew Lloyd Webber and Barbara Streisand. Since the release of their debut record, Out Of The Silent Planet, in 1988, KING’S X released over a dozen albums that have seen them rightfully earn their place on the rock royalty family tree. Fusing progressive metal, funk and soul grooves with vocal arrangements rooted in blues, gospel and even the British Invasion era influences, KING’S X created a style all their own which continues to be an inspiration for bands to this day. Critically acclaimed from the start, KING’S X are musician’s musicians, name-dropped by everyone from Anthrax and Suicidal Tendencies to Iron Maiden and Blue Murder for their instrumental prowess. Pearl Jam’s bassist Jeff Ament even declared that “KING’S X invented grunge”. They also enjoyed a long life via the David Letterman Show with their track, “We Were Born To Be Loved” (from 1990’s Faith Hope Love), also a favorite of the Paul Shaffer’s CBS Orchestra to play during commercial breaks. In 1992, KING’S X signed to Atlantic Records/Megaforce Records, released three albums and toured with bands as diverse as Scorpions, Type O Negative and Pearl Jam. In the early 2000’s, KING’S X released three studio albums and their first official live album via Metal Blade Records. In 2005, the band signed to German-based progressive music specialty label, InsideOut Music, and released Ogre Tones, an album described as a return to the bands classic sound. KING’S X forged ahead with new albums, DVD’s and tours up until 2012, when drummer Jerry Gaskill suffered a major heart attack. The band then quickly compiled an exclusive live release from their archives entitled, Burning Down Boston. The proceeds of which went directly to assisting Gaskill with his medical expenses. They rolled on for two more years until Jerry suffered another heart attack, which resulted in him having a double bypass operation and ultimately led to the band taking an indefinite hiatus. 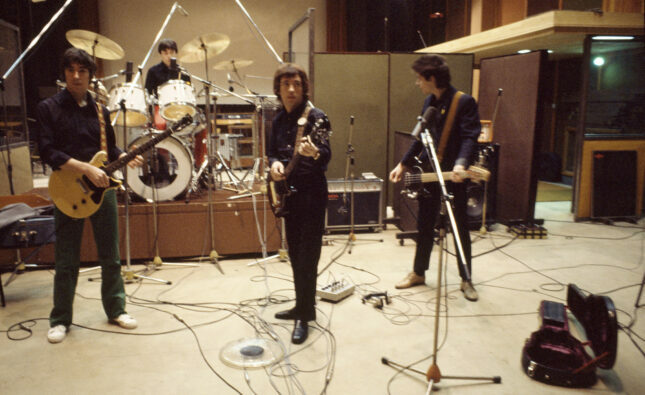 This break didn’t last long, as they were back on the road in mid-2015, shortly afterward announcing they would begin work on a new studio album. 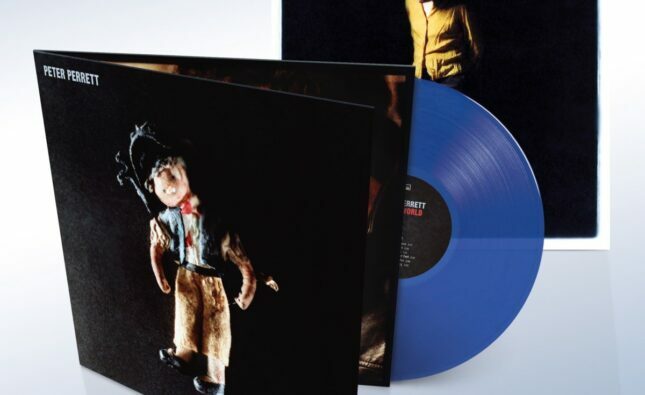 This would be the band’s first since 2008’s XV. 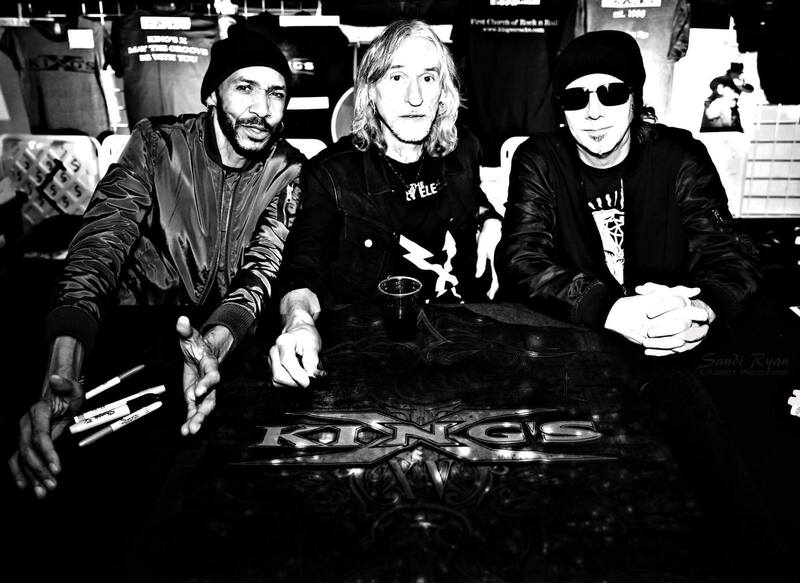 KING’S X began meetings with Golden Robot Records management in Los Angeles in early 2017, eventually signing a global deal in October 2018.